Expect a rainbow-haired crowd of punky Berkeley High School students and their university ilk to cram Volcom’s Telegraph Avenue location tonight. The store is having its Grand Opening Party, finally–complete with free beer, free crap and a live band, Totimoshi. We’re sure the “Youth Against Establishment” clothier picked Berkeley as its Northern California location because of our historically anti-establishment vibes. 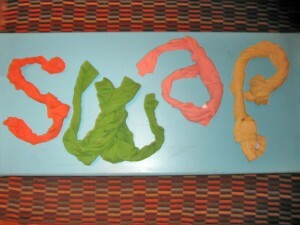 And they did so at a perfect time, too–considering the treewoks, Code Pink and others are getting louder than ever. 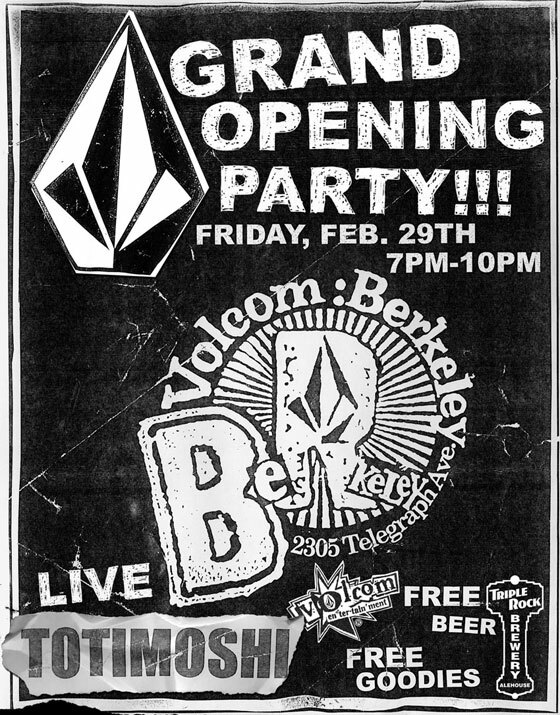 We wish Volcom luck as they traverse the currently shaky business district that is Telegraph Avenue, though we have no doubt they’ll be able to sucker lots of trendy activists into buying their overpriced fashion statements.